Are your agents sending you complete and accurate data for a quote? Do they automatically send you a supplemental or unique form that you require? Once a quote is bound do they quickly send you the signed carrier or regulatory forms? Are you trying to figure out how to more efficiently manage your business? Do your underwriters spend a lot of time going back and forth with agents and carriers to obtain the right information? Are your underwriter wasting time educating agents? Are you integrated with all of your carrier systems for all lines of business? Do they still want their applications and forms signed on their policies? Do you often go back and forth with the carrier due to inaccurate or incomplete data? 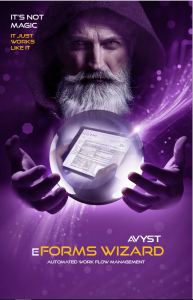 what eforms wizard will do for you! eForms were built to be bi-directional thus data can be uploaded or exported in XML and AL3 formats. We have built the function to absorb any type of form and share similar data fields with each other. Imagine your or carrier forms available at the point of sale! Yes, even the non-ACORD data can easily be mapped! With the IRMI glossary of termsTM integrated at the field level, producers can gather accurate data and self-educate themselves on new products. Plus they input data once and it shares across almost 800 ACORD forms and supplements. Reduce touchpoints for your underwriters! Ready to begin learning more? We will respond quickly to all of your questions.